By now, you’ve probably heard that there’s a new OTTO Pizza shop in Boston, located at 888 Commonwealth Ave., near the center of the Boston University Campus. The new shop’s gotten some great coverage from local media, including Boston Eater and the Brookline Patch.com, and the word of mouth is building, but now we want to know what you think of the new OTTO Pizza location. If you’ve been to the new shop, and you’ve got a moment and Yelp! account, we’d be forever grateful if you would tell us what you thought of the new shop at 888 Comm Ave.
Here’s the link. Let us know how we’re doing. If there’s something that can be improved, let us know so we can fix it … and if there’s something that was truly awesome, we’d like to know that too, so we can hand out kudos to our staffers who are doing a great job. Some shops would try and game the system, by either paying for good reviews or getting employees to write some, but at OTTO Pizza, that’s not how we roll. Everything you read on Yelp! about OTTO Pizza was written by actual customers. No shills. Your input is what counts, and it’s you we want to hear from … so come on, tell us how we’re doing. We can take it. 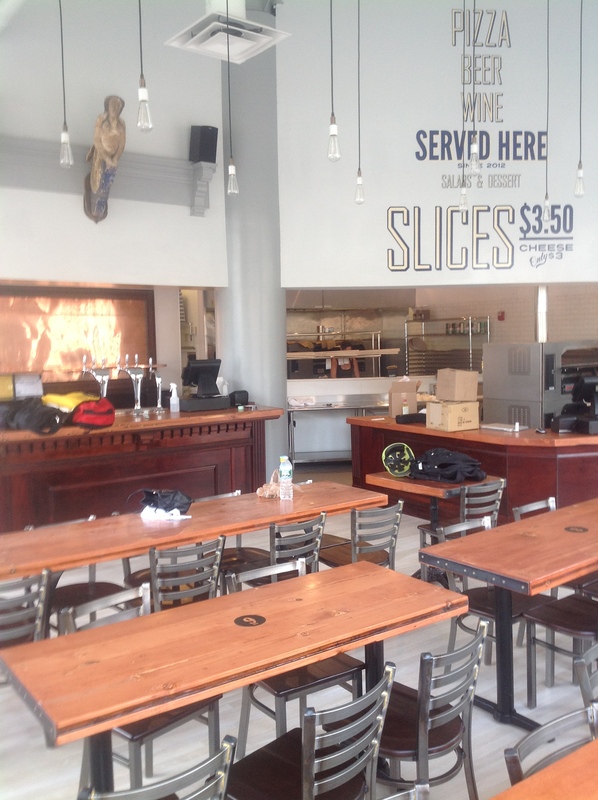 A shot of the interior at the new OTTO Pizza shop, located at 888 Commonwealth Ave. (in the heart of the Boston University campus) looking in toward the kitchen. If you follow us on Twitter, you may have already heard the news: OTTO Pizza just opened a new store — our fifth overall, and the third in the Boston metro market — on Commonwealth Ave, right in the heart of the Boston University campus. @BostonTweet tweeted a great shot of the new space, but it’s something that you really should check out in person. The new shop, a beautiful space at 888 Commonwealth Ave., emerged in a location that used to be occupied by The Upper Crust. Of course, it’s been completely reimagined by OTTO Pizza owners Mike Keon and Anthony Allen and the vibe now is thoroughly OTTO Pizza, through and through: clean lines, an open kitchen and an understated elegance create a comfortable and inviting atmosphere where you can either linger in casual conversation with a few friends over a whole pie or two, or grab some slices to go quickstyle if you’re in a hurry. The new OTTO PIzza shop at 888 Commonwealth Ave. seats about 50 people and features the full range of pizzas that are available at each of the other OTTO Pizza locations, including our signature pie, The Masher (Mashed Potato, Bacon and Scallion), recently named by the Food Network Magazine as one of the Fifty Best Pizzas in the United States. We also feature a great selection of vegetarian pies for our friends who don’t eat meat and we’ll have at least eight different varieties available by the slice at any one time, with at least three vegetarian offerings among those eight. An OTTO Pizza patron enjoys a slice at our newest location at 888 Commonwealth Ave. in Boston. And if you’re so inclined, you can also enjoy a pint of your favorite beer to go with your slice – we’ve got seven craft beers on tap at 888 Comm Ave. — or select a glass of wine from our carefully selected wine list. UPDATE: As our beer & wine license is still pending, you can’t enjoy a pint or a glass of wine … yet. As soon as we’ve gotten the licenses, we’ll open the taps and pop the cork. It shouldn’t be too much longer. Stay tuned. 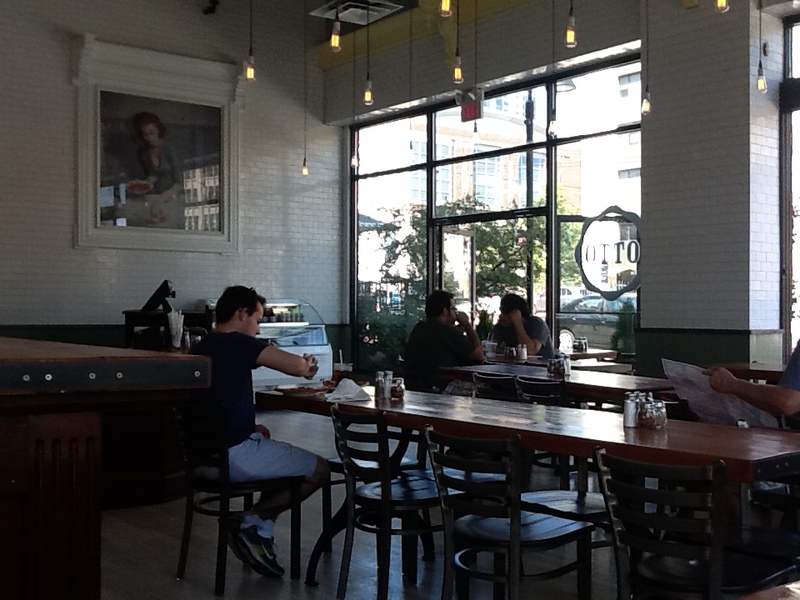 The best part is, the new OTTO Pizza at 888 Comm Ave. is open now! We rolled out a “soft” opening on Saturday, Aug. 25, after making sure that the i’s were dotted and the t’s were crossed on all the necessary permits. With the proper paperwork in hand, we opened the doors at 11:30 a.m., and word of mouth has been building a steadily growing clientele since then. If you want to check out the new shop for yourself, you’ll find it open from 11:30 a.m. to midnight from Sunday through Thursday each week, and from 11:30 a.m. to 1 a.m. on Fridays and Saturdays. Or you can call ahead by dialing (617) 232-0447. And while we don’t offer delivery from the new, 888 Commonwealth Ave. location yet, take heart! We’re working on it, and we hope to have delivery service up and running there soon. 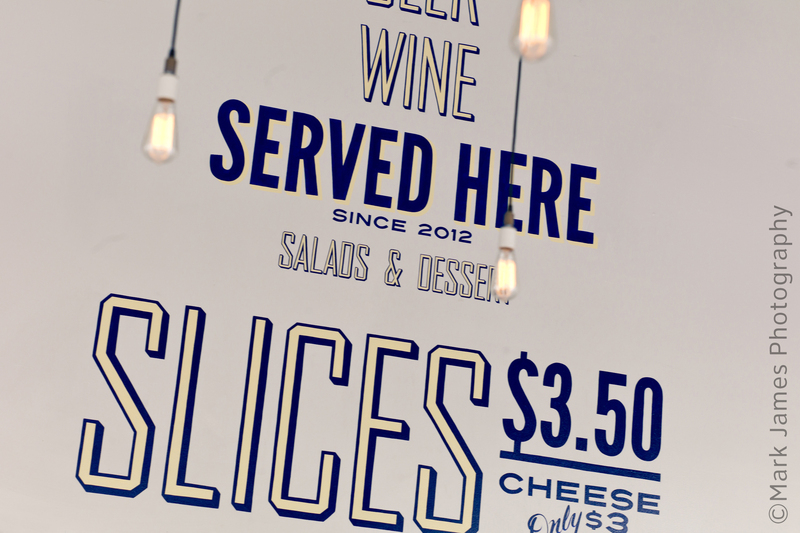 We’ll put the word out here as soon as delivery is available, so stay tuned to the OTTO blog, or follow us on Twitter (@otto_pizza) for the latest updates on all things OTTO.